TUESDAY, April 10, 2018 (HealthDay News) -- How long you might live may depend on where you live. New research suggests that if you spend your days on a sunny Hawaiian island, your life expectancy is more than 81 years. Halfway across the country in Mississippi, however, you can count yourself lucky if you make it to 75. "In terms of health outcomes, the United States is not united," said Dr. Howard Koh, who co-authored an editorial that accompanied the new study. "We want everyone to reach their full potential for health, and sometimes that happens. But this study also shows so much preventable death and suffering," added Koh, who was the assistant secretary for health at the U.S. Department of Health and Human Services during the Obama administration. Overall, the study uncovered some good news: premature death rates are down in the United States as a whole. In 1990, 745 per every 100,000 people died early. By 2016, that number was down to 578 per 100,000 people. 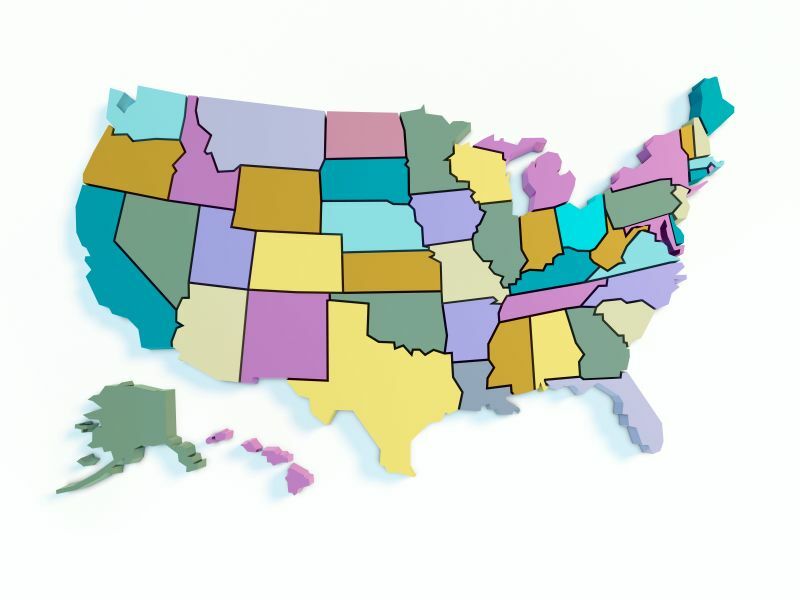 The 10 states with the lowest probability of premature death were: California, Connecticut, Hawaii, Massachusetts, Minnesota, New Hampshire, New Jersey, New York, Vermont and Washington. But the news wasn't good for all states. The 10 states with the highest probability of premature death included: Alabama, Arkansas, Kentucky, Louisiana, Mississippi, New Mexico, Oklahoma, South Carolina, Tennessee and West Virginia. For young and middle-aged folks, there was hope in the majority of states. The odds of dying for adults aged 20 to 55 declined in 31 states and Washington, D.C., from 1990 to 2016, the findings showed. But in 19 states, young and middle-aged adults didn't fare as well. Decades of declining mortality rates were reversed in these states. And, in New Mexico, Wyoming, Oklahoma, Kentucky and West Virginia, the probability of death for that age group not only stopped decreasing, it actually increased by 10 percent over the study period. Koh noted that a substantial driver in the increasing death rate in some states were "diseases of despair," which include substance-use disorders (drug and alcohol abuse), cirrhosis of the liver and self-harm. Unsurprisingly, opioid use played a large role in some of the negative outcomes. In 1990, opioid use disorder was 52 on the list of things that caused lost years of life. In 2016, opioid use disorder rose to 15th on that list. The leading cause of years of life lost was heart disease, followed by lung cancer and chronic obstructive pulmonary disease (COPD). Alzheimer's disease and other dementias, along with colon cancer, rounded out the top five, according to the report. The top risk factors contributing to these conditions include poor diets, obesity, diabetes, tobacco use, a lack of exercise and alcohol use, the study found. Dr. Len Horovitz, a lung specialist at Lenox Hill Hospital in New York City, said COPD is rising because of continued tobacco smoking and air pollution. "So many of these problems lead back to lifestyle. One of the most vexing issues we have is to get people to change their lifestyle habits," he said. Horovitz added that getting kids to make changes and be more active and to eat healthy foods would probably be the most effective way to make lasting changes. Dr. Howard Selinger, chair of family medicine at Quinnipiac University's School of Medicine in Connecticut, said the findings weren't surprising. "Health care and health outcomes are very regional, and southern states tend to have more chronic disease relating to obesity and tobacco use, as well as a lack of availability of certain services. Basic preventive care is less available in the South," Selinger said. To improve some of the study's more dismal findings will require addressing the triggers for conditions, such as substance abuse and obesity, he said. And that means addressing some of the "social determinants of health," which include factors such as housing, education, transportation, income and nutrition, Selinger explained. "Health doesn't happen in a medical facility, it happens in the home and the community," Selinger said. Koh added that strong public health systems are needed, but "we live in a society where prevention is still not valued as the highest priority for health, and so much of disease is preventable. Hopefully, this analysis will spark new conversations about the need to improve the power of prevention for all." Koh recommended that every state ask itself how it can improve its public health systems and address the factors affecting its residents. "Our good health is a gift," he added. The researchers -- led by Dr. Christopher Murray at the University of Washington in Seattle -- looked at published literature for 333 causes and 84 risk factors linked to mortality from 1990 through 2016. The study was published April 10 in the Journal of the American Medical Association.